The University of Hawai‘i Foundation is excited to announce that philanthropists Lester and Marian Kaneta have pledged $1 million for a challenge grant to help raise funds to sustain the Lunalilo Scholars Program at Kapi‘olani Community College, and double the number of students enrolled in this successful program. The Lunalilo Scholars Program at Kapi‘olani Community College uniquely serves and supports financially at-risk students. The scholarship program was launched in 2012 when the school partnered with the Kanetas to start a scholarship program. Modeled after a similar pioneering community college program, the Lunalilo Scholars' success outcomes are impressive to both educators and donors alike. The Clarence T.C. 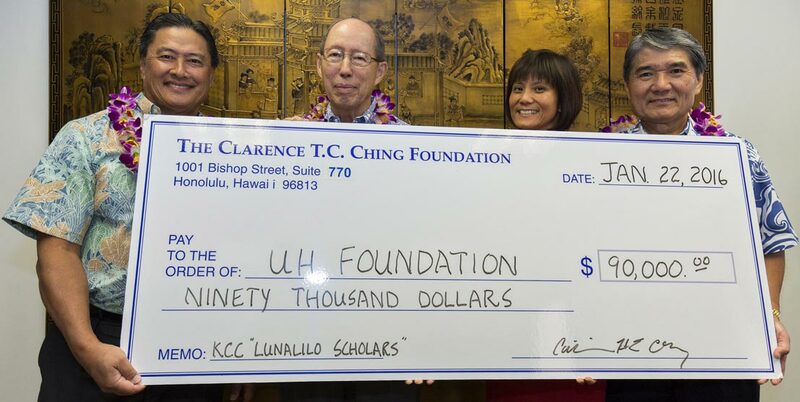 Ching Foundation has granted $90,000 to fund scholarships for students who have completed their first year in the Lunalilo Scholars Program at Kapi‘olani Community College. Their goal is to encourage students to participate in the peer mentor component of the program, and nurture the cycle of learning and giving back. 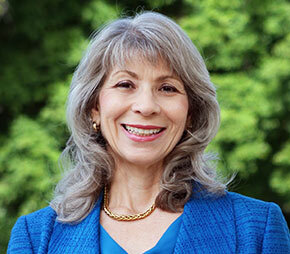 University of Hawai‘i Foundation President and CEO Donna Vuchinich shared why this program and matching gift opportunity is important. “Donors like the Kanetas and The Clarence T.C. Ching Foundation play a key role in eliminating the educational inequality that exists across our state by bringing programs and support services to our most vulnerable students who want to create a better life for themselves and their families.” Vuchinich continued, “These programs eliminate the barriers to higher education, and help the University of Hawai‘i create a more educated citizenship. 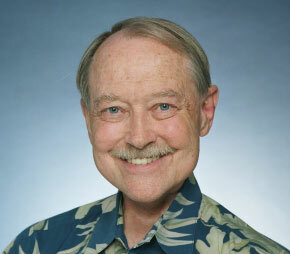 This is a critical component to ensuring a healthy Hawai‘i now and in the future.” Vuchinich concluded. Donations of all amounts are directed towards helping students within the Lunalilo Scholarship Program gain access to higher education. Listed below is a breakdown of how various donation amounts are used in aiding our students. KCC is the largest of seven community colleges in the University of Hawai'i Community College (UHCC) system. KCC aims to increase the educational capital of the state by increasing the participation and degree completion of students, particularly from underserved regions and with limited economic resources. The University of Hawaiʻi Foundation (UHF) was established in 1955 to encourage private support for the University of Hawaiʻi. Its mission unites donors' passions with the University of Hawaiʻi's aspirations by raising philanthropic support and managing private investments to benefit UH, the people of Hawaiʻi and our future generations. In May 2012, KCC and local philanthropists Marian and Lester Kaneta (Kaneta Foundation) created the King William Charles Lunalilo Scholars Project (Lunalilo Project) with a common mission to support the poor and needy through compassion and education.